Bishop Andy Lines has been formally commissioned as Missionary Bishop to Europe for the Global Anglican Future Conference (Gafcon) in a ceremony at Emmanuel Church, Wimbledon, today. His consecration took place in June last year in response to the Scottish Episcopal Church’s decision to redefine marriage in its canons as no longer only being between a man and a woman. 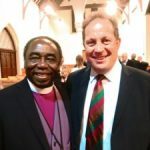 Bishop Andy was launched into full-time post by Archbishop Peter Jensen, Gafcon’s current General Secretary, and Archbishop Ben Kwashi, General Secretary-elect. Previously, he had also been working as chief executive of the mission charity Crosslinks. 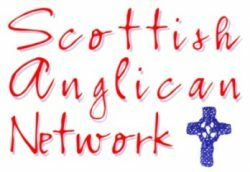 • Read a report on the event at Anglican Mainstream.